LOCALLY – titles ares available at Barnes & Noble and at independent book stores. Russ, an 82-year old widower, is awakened one blustery winter night by a phone alert from an emergency monitoring center – his best friend Rich has pressed the Help button. The situation that night is more than just some quick action for Russ. It’s a wake-up call to the dark reality of Rich’s failing health. Now Russ will have to consider his loyalty to the remaining cohorts in his self-made support group of old guys eating together. Limited to the six that fit in a car, The Gang, as they are known in the rural Minnesota town, has a reputation, even in the neighboring counties. Russ’ loyalty will be tested again when Agnes happens by with her home cooking and woodsy pleasures. *10% of author revenue will be donated to Disabled American Veterans. World War II history first-hand – that’s the account of Private Russel E. Albrecht, U.S. Army, 30th Division, 120th Regiment. As a “replacement” he landed at Omaha Beach, fought at the Siegfried Line, the Ardennes, the Battle of the Bulge, the crossing of the Rhine, and the drive into Germany. He was wounded twice and was hospitalized for pneumonia, bronchitis, and pleurisy. He was awarded the Bronze Star. His compelling stories bring to light the stark realities of war as a foot soldier on the front lines. 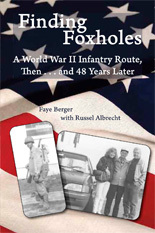 Flip to a 1992 travelogue – that’s a daughter’s memoir of a trip with her husband and her veteran dad to re-trace that 1944 infantry route. The road trip presented a perfect opportunity to audio-tape her dad’s stories. The travelogue as a framework for Private Albrecht’s stories fills in with historical backdrop plus modern-day dynamics of baby boomer and aging parent on a history hunt. Would this old soldier’s memories match up to what was found? Amazing discoveries await them. 1. Overall – how did you experience Gumption while reading it? Were you immediately drawn into the story, or did it take awhile? Did Gumption intrigue, amuse, disturb, inspire, or sadden you? 2. Do you find the characters convincing? Are they believable? Compelling? Are they fully developed as complex, emotional human beings? 3. Which characters do you admire or dislike? What are their primary characteristics? 4. What motivates Russ’ actions? What about the actions of the other members of The Gang? Do you think those actions are justified? 5. Do any characters grow or change during the course of the story? If so, in what way? 6. Who in Gumption would you most like to meet? What would you ask – or say? 7. If you could insert yourself as a character in Gumption, what role would you play? 8. Is the plot well-developed? Is it believable? Do you feel manipulated along the way, or do events unfold naturally? 9. Is Gumption driven by plot or character? In other words, does the plot unfold quickly or focus more on characters’ inner lives? 10. What impact does WWII have on the lives of the characters? 11. How do the characters adjust for their different life experiences in their new social group, The Gang? 12. How might the story be different if all were able drivers? 13. How might a similar group of women focus their time together? 14. Consider the ending. Did you expect it or were you surprised? Was it forced? Was it neatly wrapped up – too neatly? Or was it unresolved, ending on an ambiguous note? 15. If you could rewrite the ending, would you? 16. Can you pick out a passage that strikes you as particularly profound or interesting – or perhaps something that sums up the central dilemma of Gumption? 17. Does Gumption remind you of someone – a friend, family member, co-worker, boss – or something – an event, problem – in your own life? 18. If you were to talk to the author, what would you want to know? 1. What is the central idea of the book? What issues or ideas does the author explore? 2. Do the issues affect your life or someone close to you? 3. What evidence does the author use to support the book’s idea? 4. Consider the format of the book with the two time periods: Does it flow? 5. Is the author’s language objective or passionate? How about the language of Private Albrecht? 6. Are any long or short term issues raised? 7. What are the book’s strengths? 8. What have you learned from reading the book? Has it broadened your perspective about sharing stories, family dynamics, WWII history, veteran issues? 9. Have you learned anything about yourself by reading the book? 10. Share a specific passage or scene from the book that left an impression on you. 11. What role do photographs and maps play in the book? 12. If you were able to talk to the author, what would you want to know? That we have this story is due to daughter, Faye Berger, collecting his thoughts in 1992 as they revisited his infantry route in Europe on the trip of a lifetime. “Better put, it was a trip of a past life,” writes Berger, a retired paralegal from Golden Valley. She bolsters her widowed father’s accounts with her own travelogue about seeking landmarks a half-century later, of struggling with languages, of wondering if this was a wise pursuit. Click to see the full review in the Minnesota Council on Family Relations newsletter here. “I LAUGHED. I cried. I nodded my head and thought, “by golly, she got that right.” She” would be Faye Berger, author of Gumption, a book about small-town life, aging and the value of friendship. 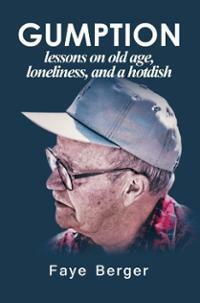 No matter your are, where you live, or where you grew up, you will be moved by the honesty and genuineness in this story about Berger’s father, Russel Albrecht, and the late-life friendships he forms with a group of widowers known as “The Gang. Set in Berger’s hometown of Morgan, this book depicts the daily goings-on in this small southwestern Minnesota town. Anyone familiar with rural Minnesota will recognize the talk about crops and weather, the daily gatherings of men for cards and coffee, the hotdish served at funerals, the ten-o’clock whistle, the swipe of bread across the last bit of gravy on a plate, and the sharing of garden produce. Gumption seems a fitting title for a story that focuses on Albrecht, a man with a philosophy to “Get out there and do things! When his wife, Lorraine, dies of cancer after 48 years of marriage, Albrecht doesn’t sit around feeling sorry for himself. Rather, he forges new friendships with men who have also lost their wives and they become “The Gang,” making weekly dinner outings and even vacationing on a cruise ship. They learn to depend on each other for companionship and help as they grow older. They become family. FAYE BERGER ANSWERS SOME FREQUENTLY ASKED QUESTIONS! What sparked your interest on the subject of aging? About fifteen years ago, I was inspired by a class at the University of Minnesota titled “Aging Families.” The term we used back then was “successful aging” – today more often it’s called “positive aging.” It’s the ability to move on despite losses. Ever since that class, I’ve been drawn to any news and stories on the subject. When did you start your writing? I have always enjoyed writing and playing with words. Even as a student, I was enthused with an assignment to write a term paper. But life circumstances didn’t present this creative choice for my livelihood. It wasn’t until I left my paralegal job after many years that I was struck with the idea for this book. I had time to think, and I knew that I needed to tell this story. Definitely not in coffee shops, like so many authors choose. I like the quiet of my little office overlooking the trees in my backyard. And if not there, it’s when I am on my daily run that I come up with ideas and words. A fabulous tool for these spontaneous thoughts away from the computer and notepads is my digital voice recorder. I knew the events with the Morgan guys as they happened because Dad liked to share his new life experience – his life as a widower. And he liked to entertain with a good story. Meanwhile, I knew the entertainment value was there because my co-workers were always eager to hear more. When Dad died, I wanted the stories to live on. So I pieced together what I knew and added what I learned through interviews. Then I created the scenes – thank you, Loft instructors. What did you learn in telling this “true tale”? To keep myself and my sisters out of it. After all, Dad figured this out on his own. Anne Lamott, Tim O’Brien, Isabel Allende, Doris Kearns Goodwin, Rory Stewart, Michael Perry, Joan Barfoot. According to Faye, she has the best of three worlds – she grew up in a small town, Morgan, Minnesota, has lived her adult life in metropolitan areas, Fort Worth and Minneapolis, and now lives three months a year in another country, Mexico. Diversity. Writing took a back seat to raising a family, finishing college, and working as a paralegal. For seven of those years she juggled the responsibilities as a single parent of her two children. More writing material. Faye and her husband Wilt live in Golden Valley, Minnesota. Their four children and families – 7 grandchildren – all live in the Minneapolis area. Over the years, Faye and Wilt have signed on to short term missions in Haiti and then many more in Mexico. They hosted a student from Vietnam and another from Guatemala. And travel too, in the mode of hiking, has added to their cultural learning. Back home, they have focused on homeless families. So the wait for writing has been worth it, with all of these experiences piling up. When Faye’s dad died in 2003, she was struck with an idea for this book – she wanted her dad’s stories to live on. So the process began. Meanwhile, in 2004 she submitted Russel Albrecht, The Soldier, to The Veterans History Project in Washington, D.C. In March 2006 Running Times Magazine featured Cross-Culture Running with Faye’s South of the Border. 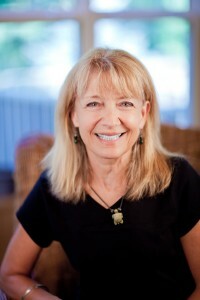 Faye has a Bachelor of Science degree from the University of Minnesota. She volunteers at a nursing home as a one-on-one visitor and for the Medtronic Twin Cities Marathon as a head mile marshal. For relaxation, Faye loves to cook and garden and learn all she can about nutrition and green living. She has a piano student, her grandson. The YMCA is her favorite hang-out, and what keeps her running marathons is the goal-setting. A weekly must is each Saturday morning at 7:30 when she and Wilt meet their running group for a run around the lakes, followed by a leisurely breakfast. More writing material. You may contact Faye by emailing your comments and thoughts – Faye would love to hear from you!